Grenada’s real estate market continues to expand and develop, setting a new high in sales volume in 2017, with considerable growth projected for 2018. Total real estate sales topped US$50 million (not including real estate sales done through the country’s Citizenship by Investment programme). 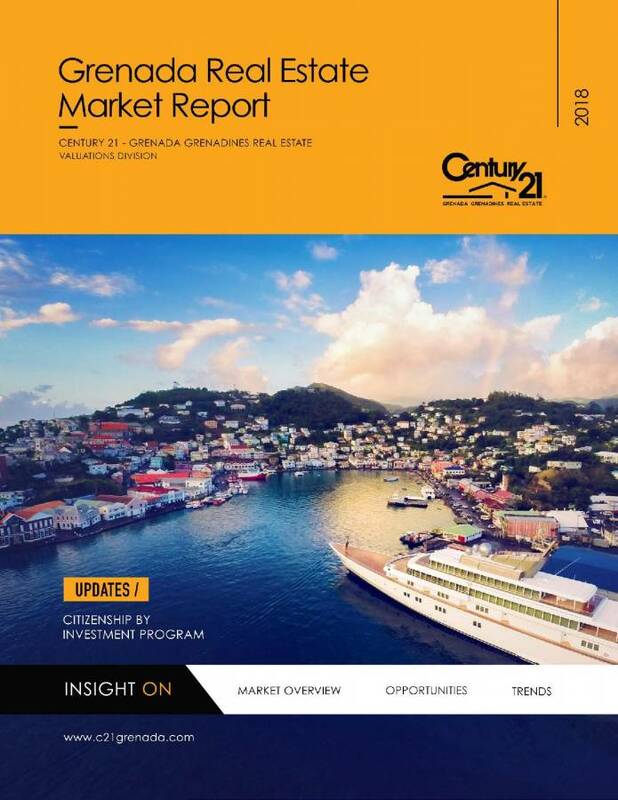 The recently released Century21 Grenada Real Estate Market Report identifies a range of trends and developments driving market growth. Several high-profile resorts are being built through the country’s Citizenship by Investment programme. “These projects are creating a new level of luxury real estate and tourism accommodations in Grenada, on-par with the finest global destinations,” noted the report’s author. The resorts include the uber-luxury Silver Sands, Kawana Bay by Kimpton Hotels, and The Pointe at Petite Calivigny (private residence club and marina). The Citizenship by Investment Programme contributed an additional US$50 million into the Grenada economy. There was also a surge in the construction of student accommodations serving the island’s US-accredited medical and veterinary school, St. George’s University. With more than 650 new rooms coming on stream. The backbone of the real estate economy remains domestic demand for residential land and housing, with the Diaspora playing a major role. For the “Real Story of Real Estate in Grenada” read my earlier Commentaries all available here on Now Grenada first under “Don Quixote” and subsequently under “The Grand Poobah”.